Bad news, owners of older Motorola devices. According to a tweet from Motorola's official Twitter account, if you own an aging Moto phone—including the Droid 3, Bionic, and Droid X2—you will not be receiving a bootloader unlock tool. While newer products like the Photon Q, as well as developer-centric devices like the RAZR Developer Edition and the not-quite-Nexus Xoom are supported, Moto has no plans to add any of its older lineup to the supported list. @clumsyninja21 That is not currently in the plan. It is worth pointing out, of course, that this is coming from a Twitter account and it's not unheard of for the rep running the social media sites for a major corporation to go off-script. Still, it wouldn't surprise us in the least if it's true. More often than not, when a manufacturer makes a decision about locking the bootloader on a device, it sticks with it. 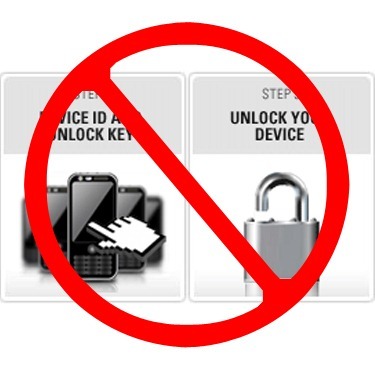 Policy might change for future devices, but the unlocks tend to be the exception, not the rule. If you own an older Motorola device, it would probably be best to just buckle in for the long haul, because it looks like you're not gonna get inside that bootloader without some help from a diligent third-party.